A Facebook Like box is a good way to stay connected with your fans and provide them your message or post very easily. Step 1: Go to the official Developer Page. 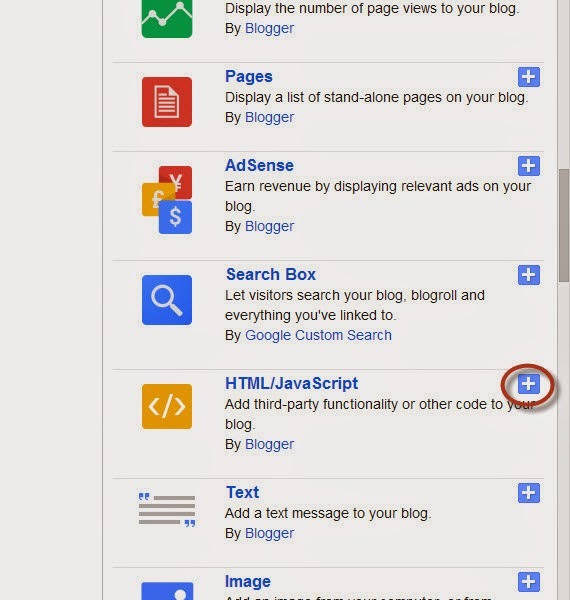 Step 2: You will see lots of options on the Left hand of the page. 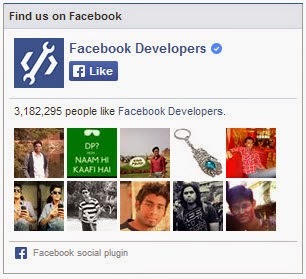 You can choose 'Like Button', 'Like Box', 'Share Box' and more. Select any of them you want. 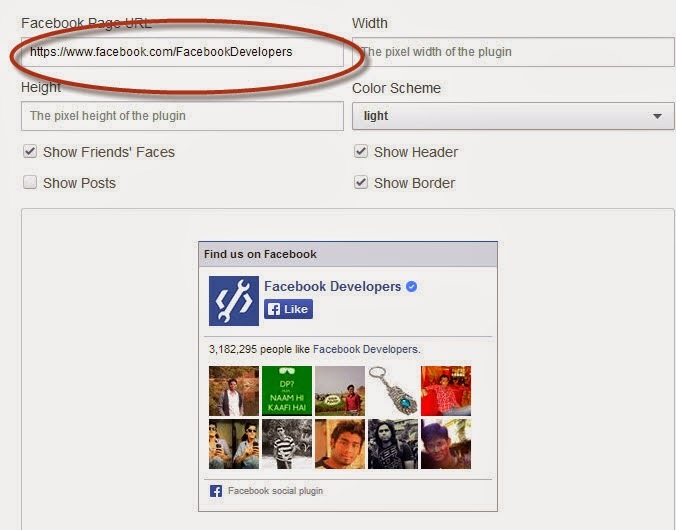 Step 3: Put your Page URL inside the box where it is written 'Facebook Page URL'. 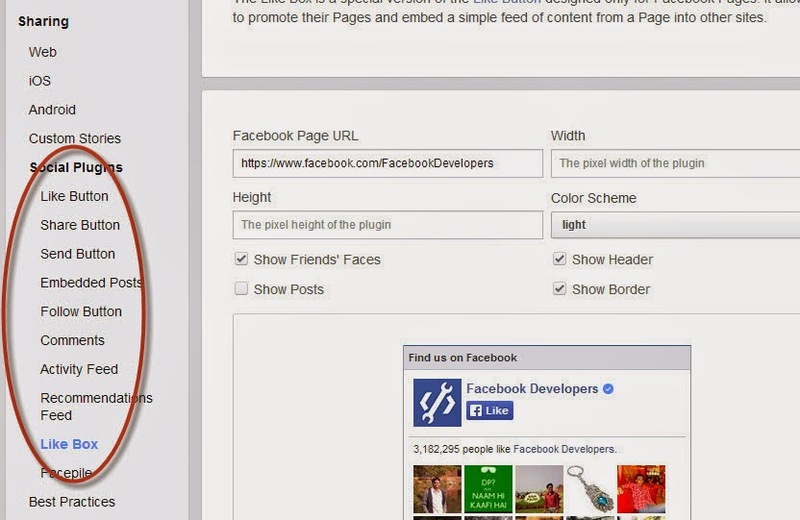 You will see the Preview Box will automatically Changes into your Facebook Page Box. 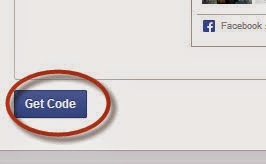 Step 4: Click on Get code to save the Settings and to get The Code. Step 5: Now A pop up window will open, Select 'iFrame' from there and Copy the Code. 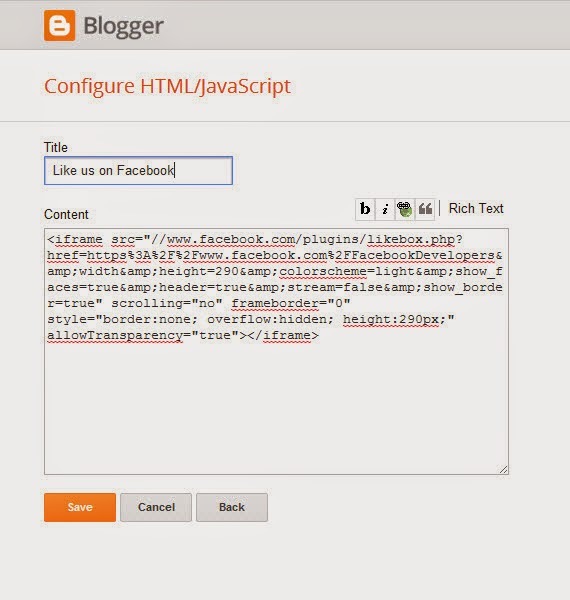 Step 6: Now go to your Blogger Dashboard and Click on the Layout and Click 'Add Gadget'. Step 7: Now a Pop up window will open. Scroll a Bit and you will See HTML/Java Script. Click on the Plus sign beside it. Step 8: Now Paste the Code you copied from the 'iFrame' inside the Box and Hit Save. Did you know that you can get them ON AUTOPILOT AND ABSOLUTELY FOR FREE by getting an account on Like 4 Like?